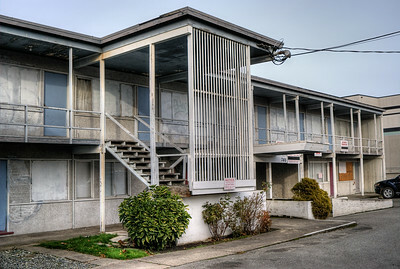 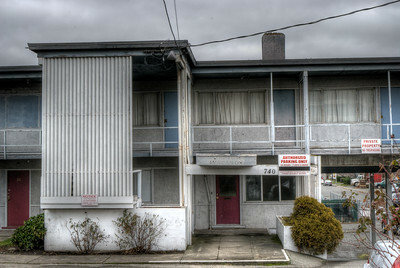 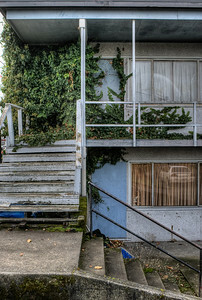 Here we have the Holiday Court Motel, a city landmark in Victoria, BC, Canada. 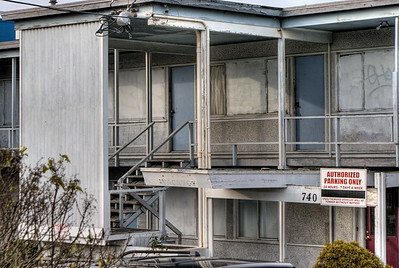 This famous building is notorious locally for attracting people with illicit intent. 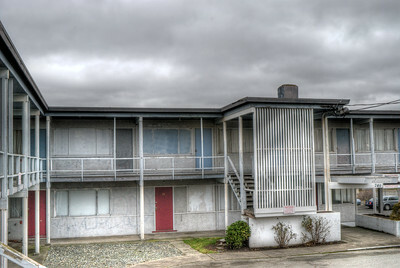 The local police department used to visit frequently. 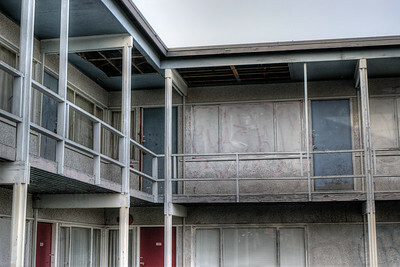 This building was bought by a local plumbing company in 2005. 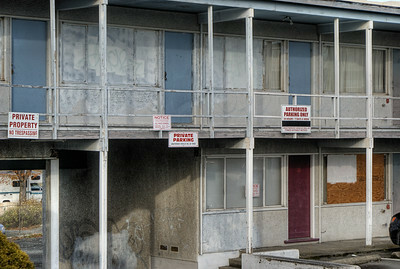 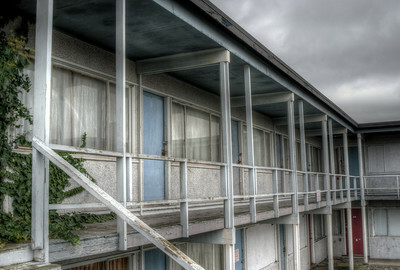 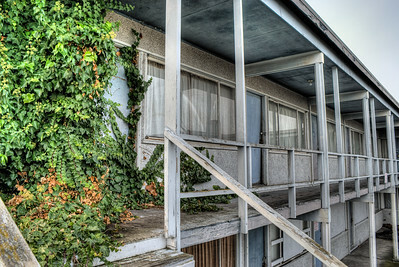 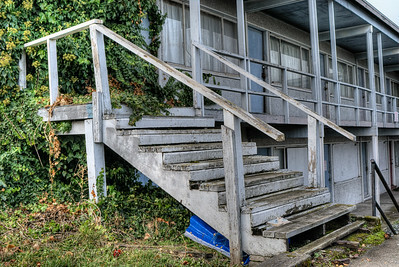 At that time, the motel was boarded up in preparation for a new facility. 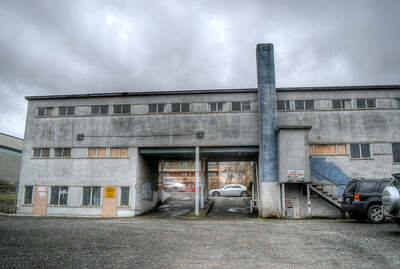 The new owner intends to build a brand new 8 story office building on this site, with demolition slated for early 2011. 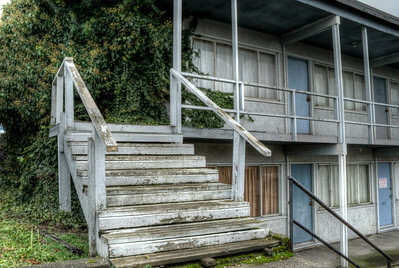 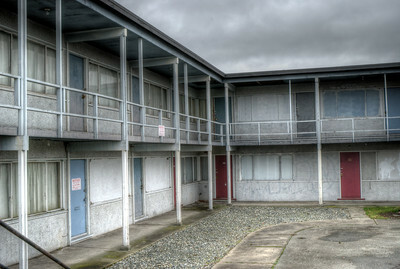 The opportunity to capture this motel before it is destroyed is limited, and for some reason I find this sad. 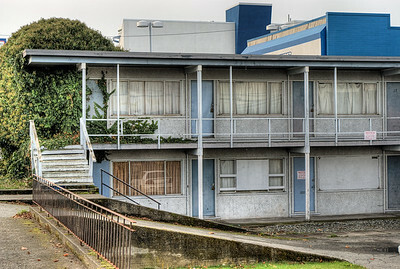 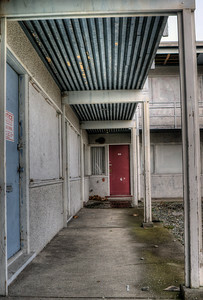 Holiday Court Motel - Victoria, BC, Canada Visit our blog "Holiday Court Motel: Its Final Days" for the story behind the photos.